This was a tricky one for me to re-attempt. I had ok attempts originally, but they were both very basic, single colour designs. 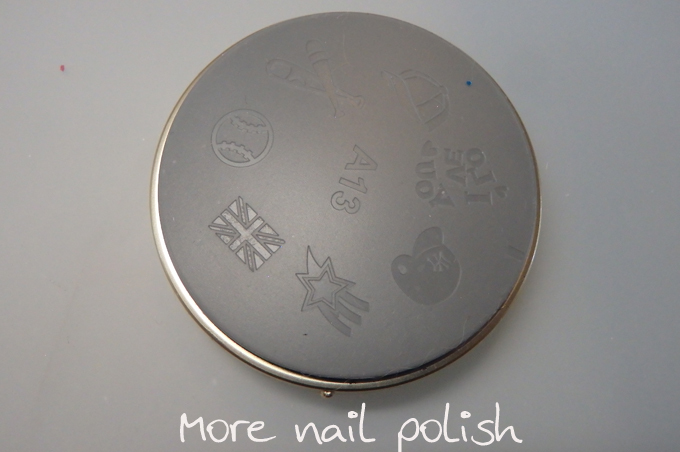 Today I'm re trying ENAS, which stands for Easy Nail Art Stamping. Years ago when I first got these I thought they would be amazing for creating multi-coloured stamping designs. If I got it to work it was going to be a game changer, because back then no one had created silicone mats for stamping decals or lead-lighting, or advanced stamping. These weird little rubber plates have the image engraved in the rubber rather than in metal. The big downside for me was that the rubber always seemed so hard to press onto your nails, especially now compared to squishy stampers. Anyway, I had never successfully been able to get a multi-coloured stamping design off any of my ENAS plates, so I persisted until I got these. 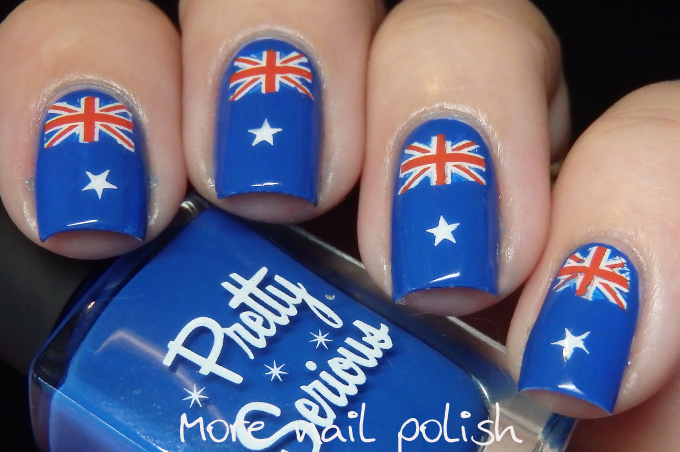 I think the big difference for me this time is Mundo de Unas polishes! 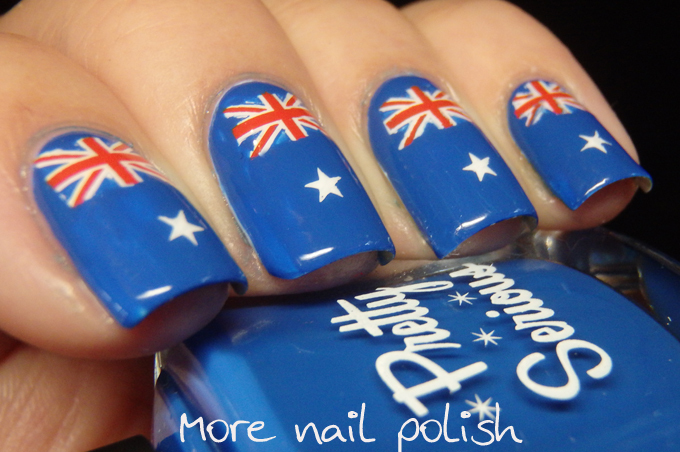 I'm going to add this mani to my inspiration list of Australia Day nail art options for later this month. This is what the plates look like. The outside provides ideas about how they can be coloured in. The underside shows the designs cut into the rubber. The idea is that you paint polish over the image and then dab it onto paper until all the excess polish has been removed and only remains in the etched part of the image. You can then remove parts of the design and apply another colour to the stamp, repeating the dabbing process until you end up with the stamp with multiple colours on it. I'm not explaining it very well, so I did do a video, but you'll just to jump over to my instragram account to find it. 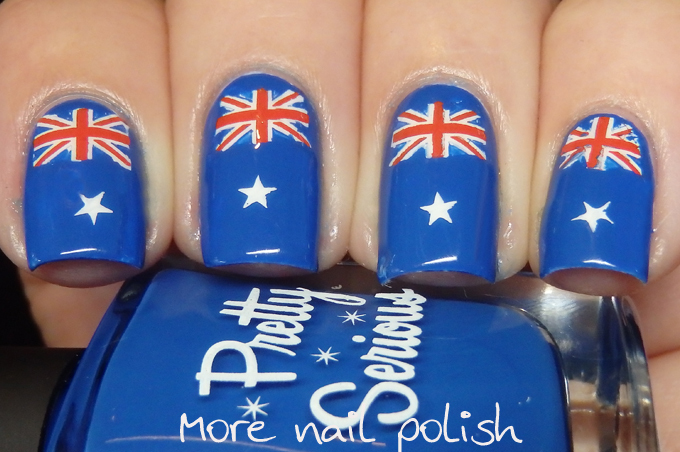 I started with a white base and stamped the union jacks on using the ENAS stamper. 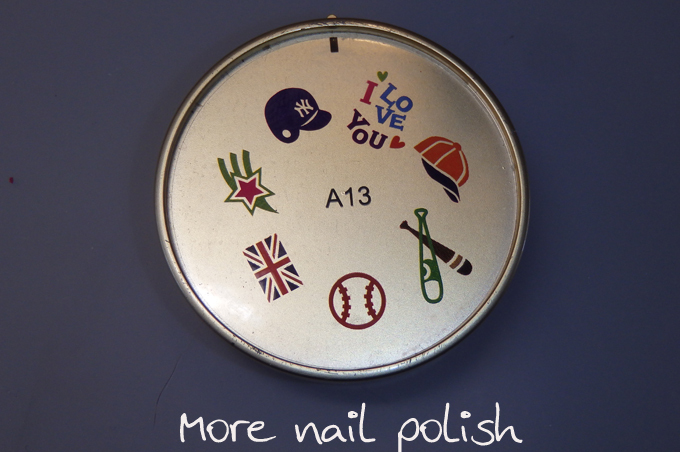 I then painted the rest of the nail with Pretty Serious Type 40. 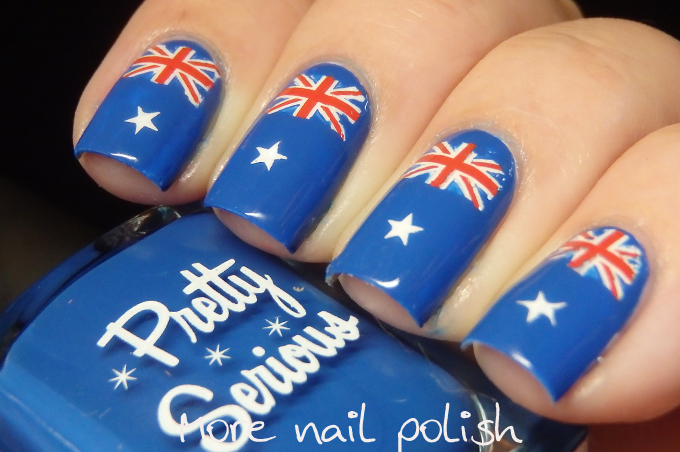 This is such an amazing polish for nail art because it's a fantastic one coater with a great formula. Lastly I used my clear jelly stamper to stamp the single stars on. So there you have it, the end of my first week of Digital Dozen posts. I've been super impressed with the designs the other girls did this week, I'm going to have to lift my game a bit so I don't embarrass myself.